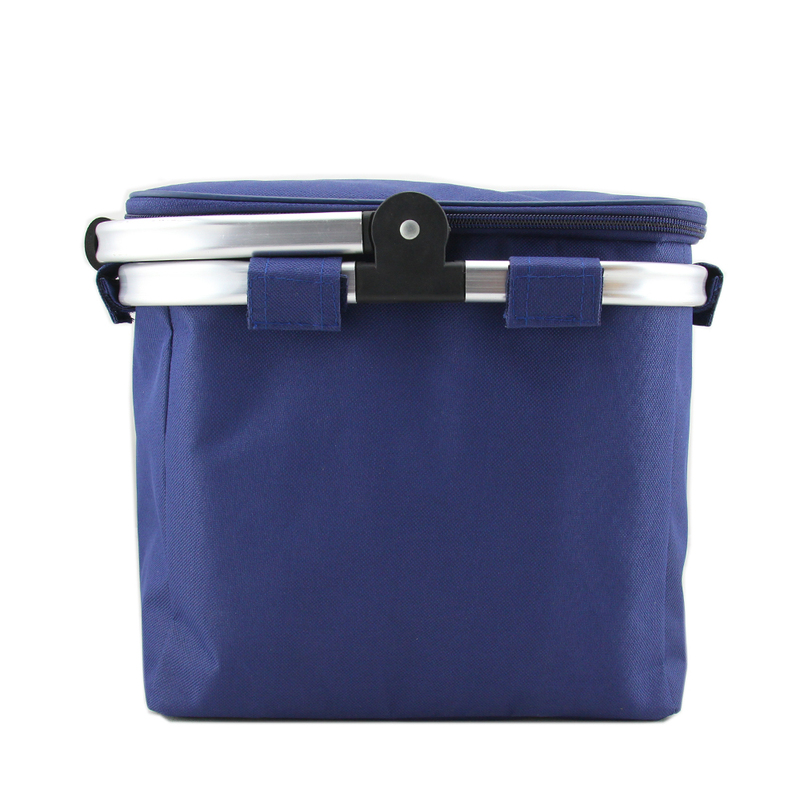 Folding picnic camping insulated cooler cool hamper basket zip bag. 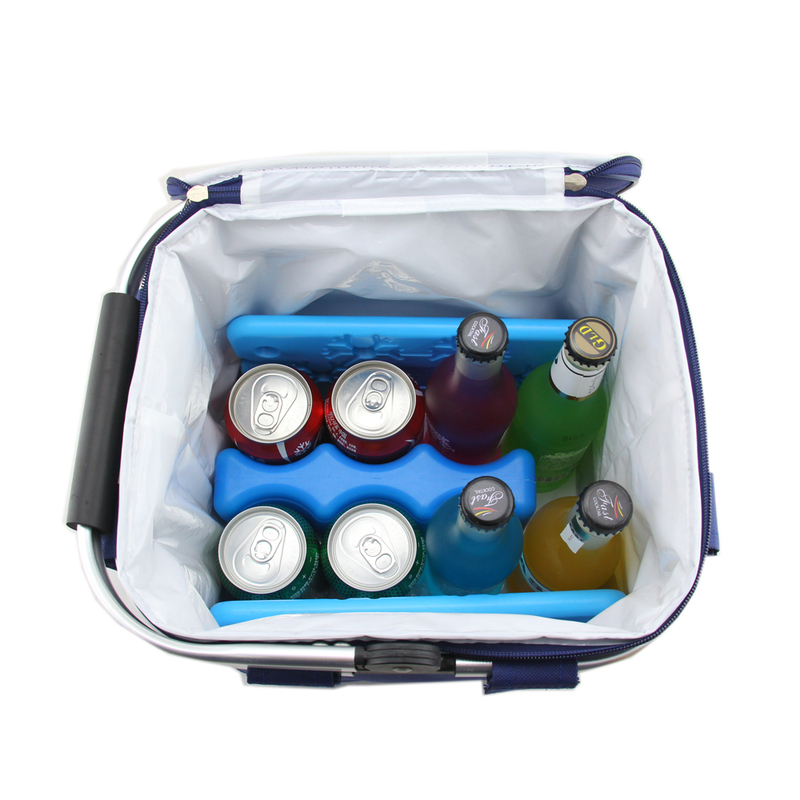 Lightweight & durable; Large insulated cooler compartment; Rubber soft touch grip handle. 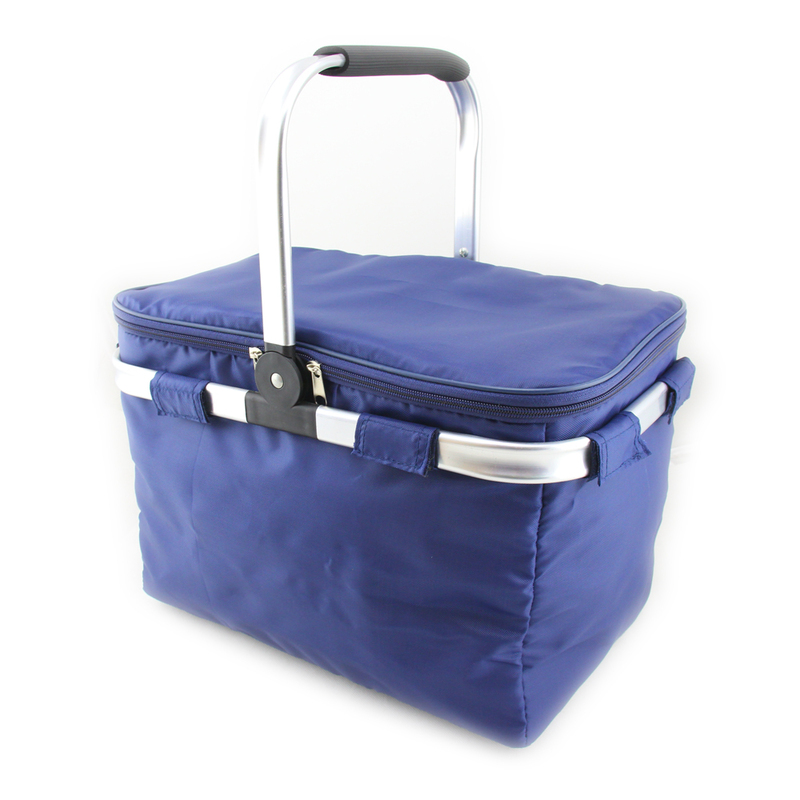 This basket is perfect for fishing trips and picnics or even trips to the beach and shopping. Handle, aluminum frame help the basket keep shape. 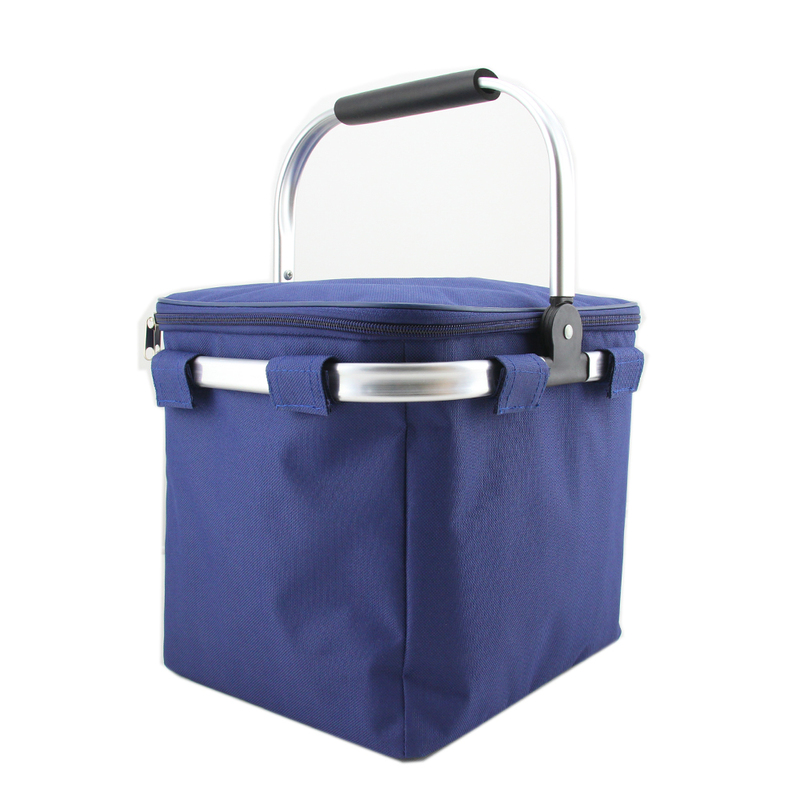 Features a space-saving collapsible aluminum framed picnic basket. 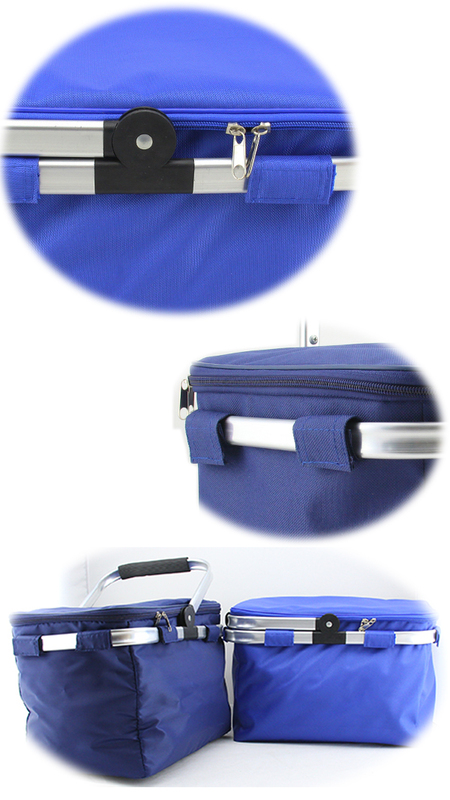 6 Velcros and each Velcro by sturdy stitching can hold the aluminium handle fastness - ideal for carrying heavier loads. Looking for ideal Fishing Trips Cooler Manufacturer & supplier ? We have a wide selection at great prices to help you get creative. All the Aluminum Frame Cooler are quality guaranteed. 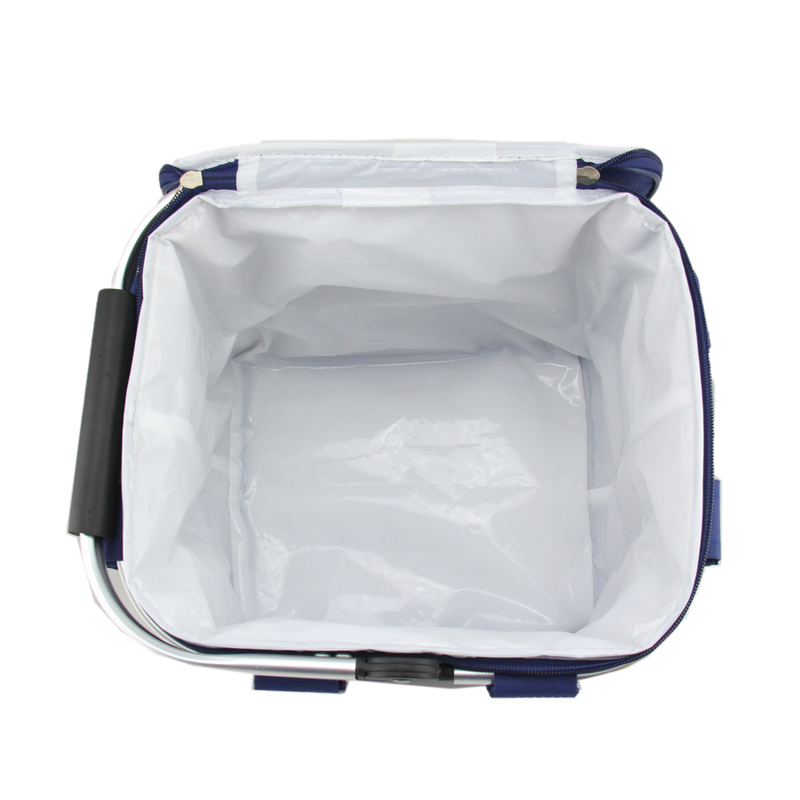 We are China Origin Factory of Large Insulated Cooler. If you have any question, please feel free to contact us.